S8/S8+ What is it you are looking forward to most? So just another phone? a must have item? What's your thoughts on the phone, have you been waiting for this phone with baited breath? Myself my phone is an extension of myself a place to store moments to share thoughts and occupy my spare time so a phone has to be everything I want and have room to grow. What's new with the phone you can ask..
Well look at that screen... (wipes away the drool) Netflix anyone! Bluetooth 5! little known but this is the next step on more distance you can use it and more data transmitted. 8 mega pixel auto focus front camera (#puckerup) selfies are going to look much better 1st go. USB C Just a cable connection? A forward thinking connection so many possibilities! i.e. More screen less bezels. I've used each extensively in my local Samsung Experience Store and are smooth to use and easy to hold although I'd still suggest a case or skin to add further grip. Coming from the s7 edge I find the s8 to hit the sweet spot for my wants and needs and although I kind of understand why the smaller battery has been fitted into it I would have expected them to at least matched the capacity of the s7 edge battery specs ! Will I buy the s8 ? Maybe. My usual is to wait, watch YouTube unboxings and real end user reviews and go from there. I'm also waiting for the Note 8. 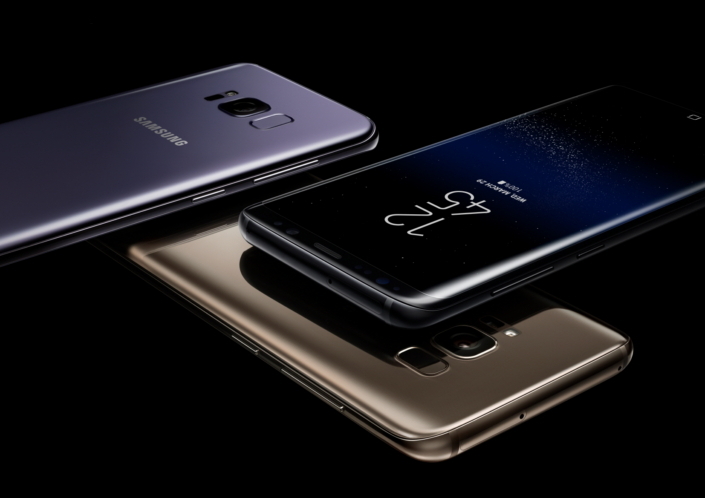 Once thats launched I will have seen enough feedback on the s8 and be able to make an informed decision. I buy sim free Factory unlocked at full price so I need to feel comfortable and confident before I buy into it. I was torn over waitting for the Note 8 or going with the S8 myself but I am on the upgrade program so S8 it is for me .